Morrocroft Estates - ******seller Is Offering A Credit At Closing In The Amount Of $5000 Towards First Years Hoa Dues ****** MLS#3453187. Berkshire Hathaway HomeServices Carolinas Realty. This special home is nestled beautifully on a .45 acre lot on a quiet street in a desirable location -- convenient to SouthPark, Myers Park and Uptown. MLS#3452810. Cottingham Chalk. Visit our model home to preview available sites and plans OR design your dream home with one of our Award winning in house architects! MLS#3453157. RE/MAX Vision. Foxcroft - Cross-listed as a building lot, MLS 3453072. MLS#3453065. RE/MAX Executive. Parcel behind home (#080-215-09) also conveys w/property. MLS#3452014. Berkshire Hathaway HomeServices Carolinas Realty. Blakeney Heath - Roof replaced in 2011, water heater in 2017. Welcome home! MLS#3452272. Best Choice, Realtors. Ask us about our Zero+ Mortgage Plan. MLS#3452647. Keller Williams Fort Mill. The Arts District - Couple houses down from $700k+ homes. Home strictly sold as-is, where-is. MLS#3453042. Golf Realty, Inc. The Arts District - Owner is also selling 1029 Matheson. MLS#3453041. Golf Realty, Inc.
Great Oaks - Beautiful deck out back is perfect place for entertaining! MLS#3453107. OfferPad Brokerage, LLC. Give us a call for additional information... MLS#3453093. LGI Homes NC LLC. Overlook - Absolutely breathtaking,custom built home,European design,new roof,new paint w/designer colors,amazing floor plan w/3 gas fireplaces,surround sound throughout,high end gourmet kitchen with granite,backsplash, Stainless Steel appliances, pantry, island w/prep sink, 6 burner gas gourmet cooktop and double ovens with convection, new dishwasher/disposal,remodeled throughout including new lighting,new fixtures,new granite in baths/ laundry room,new carpet in bedrooms,new wine storage area,master 1st floor features,bay window,2 walk-ins,dual shower,frameless glass,body sprays,new fixtures,Jacuzzi tub,granite,bonus room can be 5th Bedroom or office,princess balcony overlooks living room,stately entrance,elegant dining room,screened porch with stamped floors on porch and patio,fireplace,immaculate new landscaping w/irrigation front and back,new exterior paint, spacious 3 car garage,unbelievable storage throughout,well maintained,waterview,deeded boatslip approximately 500 ft from home, lake living at it's BEST! MLS#3450424. Helen Adams Realty. Make an offer, let's make it your new home today! MLS#3451369. TriStone Group Inc.
Stone Creek Ranch is a great community with luxury amenities. 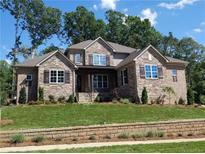 MLS#3443931. K.M.D. Realty Inc.. Please confirm if schools are important to you. MLS#3452612. Allen Tate SouthPark. 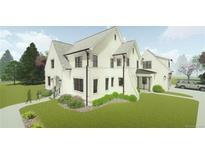 Coventry - Home comes with a 30-day buyback guarantee. Terms and conditions apply. MLS#3452529. Opendoor Brokerage LLC. Vineyards On Lake Wylie - Known for their energy efficient features, our homes help you live a healthier and quieter lifestyle, while saving you thousands of dollars on utility bills. MLS#3452852. Meritage Homes of the Carolina. Vineyards On Lake Wylie - Known for their energy efficient features, our homes help you live a healthier and quieter lifestyle, while saving you thousands of dollars on utility bills. MLS#3452831. Meritage Homes of the Carolina. ZERO downpayment, no PMI, no closing cost, conventional loan, lowest fixed interest rate. MLS#3452851. Citywide Group Inc..
Just minutes to local Breweries, restaurants and shops on Central Avenue, in NODA and Uptown Charlotte. MLS#3452649. Keller Williams Ballantyne Area. Master bedroom has a large walk-in closet. MLS#3452707. DR Horton Inc.